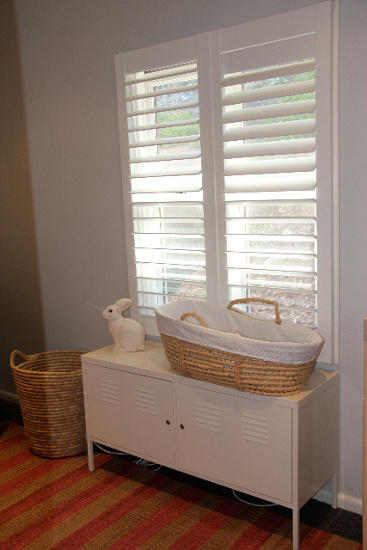 Sometimes the room you have available when a baby is on the way isn’t perfectly proportioned (unlike the baby)! 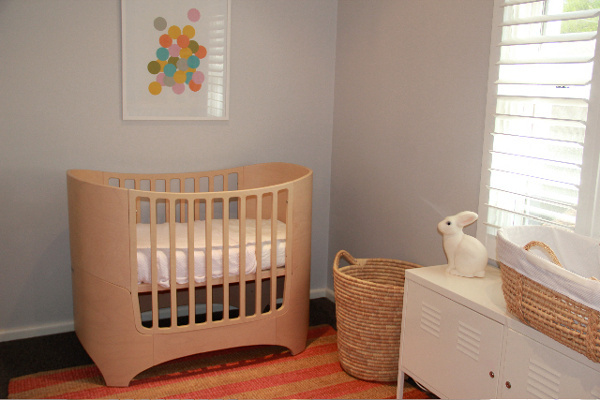 Come and see what reader Liz did to transform a long, rectangular room for her baby girl. The room is quite long and narrow, so after doing some research I found that a striped rug would make the room look wider. I loved the new Armadillo Junior range and found the perfect rug. With the pink in the rug, I decided on grey for the walls to give the room some warmth. After weeks of looking at different greys we actually decided on the the same paint colour as our room but in half strength. 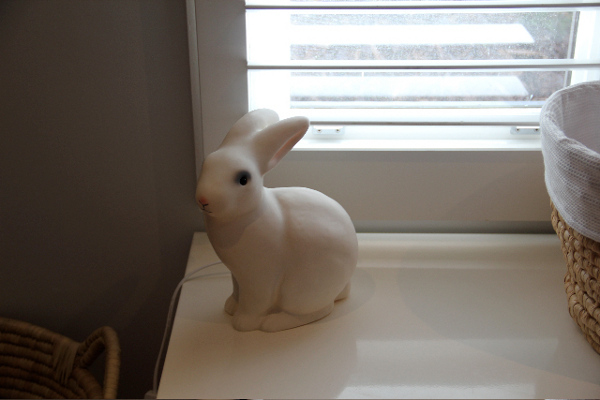 The colour is Dieskau from Dulux. The Ikea cabinet had been bought for the room when it previously had bunks in it. 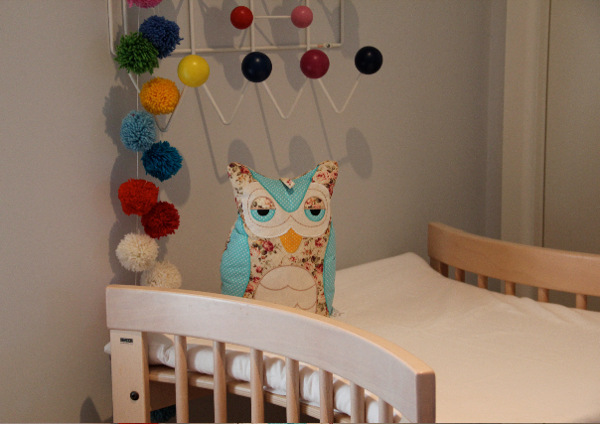 The cot and change table were purchased four years ago for my first daughter Lily. 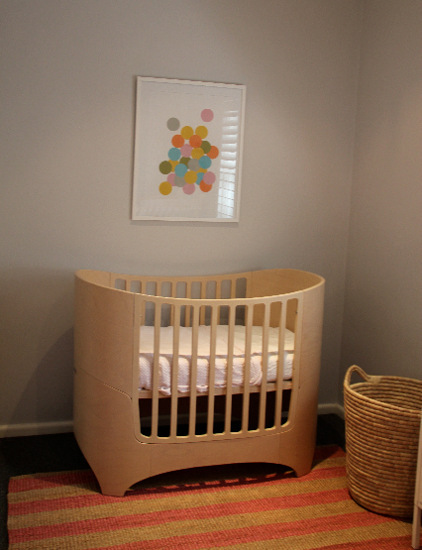 The Leander cot is so beautiful that I wanted to make it the centrepiece under the print from Ubabub. The room is for our baby girl who is due at the beginning of December. I am sure once it is occupied it will fill up with the little girl’s personality – it is still a work in progress. Work in progress or not, we think it’s lovely, and it’s a great example of how a room doesn’t need lots in it to feel cosy as well as on-trend.